Last month, I asked all civil servants to take part in the annual Civil Service People Survey - your opportunity to record your views on a wide range of matters that affect you and the way you work. Over 274,000 of you, in 101 participating organisations, did so – that’s more than last year and getting on for two-thirds of the entire Civil Service, confirming the survey as by far the most authoritative representation of the attitudes and experiences of civil servants, and one of the largest regular surveys of any workforce in any industry or profession in the country. As a source of feedback – and concrete data – on what you think about the organisations you work for, the survey is more important than ever before. We are in the middle of the most far-reaching reform of Civil Service working practices in a generation. These changes were part dictated by the financial crisis, and the need for the Civil Service to become more digital and efficient. But they are also about meeting our ambition to be the best, most capable Civil Service we can be, confronting the demands of the 21st century and heightened expectations of the speed, efficiency and responsiveness of public services. We appreciate the challenges that this presents to all civil servants – and one of the clear issues that you have raised in the survey, is around pay. I recognise that the Civil Service, like other parts of the public sector, has undergone pay restraint since we entered the financial crisis in 2007. This has been a necessary part of reducing public sector debt, but has been important in safeguarding many jobs, and keeping forced redundancies to an absolute minimum. Nevertheless, against this background, it is encouraging that the survey shows levels of employee engagement actually increasing, with 5 of the 9 themes on the rise since last year, including leadership and managing change, and learning and development. There are high scores for the numbers of us who are interested in our work (89%), believe we have the skills and tools we need to do our jobs (89%), feel trusted to do so effectively (89%), and are confident in the respect of our colleagues (84%). Your own departments and teams will be updating you on the specific results in your own areas and their plans for actions arising from them. These figures, and the increase in the headline employee engagement index to 59%, are encouraging, and a real tribute to the quality of management at all levels across the Civil Service. But it would be idle to pretend that satisfaction levels are uniformly high or that the overall perception – or achievement – of the leadership and management of the Civil Service is everything we would wish. This is why my senior leadership team and I have been prioritising action to improve our performance in areas where our scores are low. Responses to some of the key questions around attitudes towards how you are managed, particularly at senior level, show small but welcome improvements. For example, confidence in the decisions of senior managers and that they are “living” the values of their organisation have risen by 3 points (to 44%) and 4 points (to 47%), respectively. The feeling from staff that their organisation is well managed is up 2 points to 45%, but this still means that many of you are not content with senior management. While at 45% the benchmark for believing senior managers will take action on the results is also too low. I would like to assure you that the Civil Service Board will act on what you have shared with us. We are clear that embedding culture changes that will result in lasting change must start at the top. Your responses to our consultation on the leadership strategy – and the results of the People Survey, which we are examining closely – will be reflected in the leadership statement we are developing and of which there will be more news soon. I dont believe pay restraint has saved 1 person from being made redundant. This is the last time I'll ever fill out the survey. The spin in these civil service news bulletins only furthers my disengagement. We're caught between the devil and the deep blue sea here. If we don't fill in the questionaire you can be sure that the "brown noses" will, skewing the results and telling Management what they want to hear. If you do fill it in Management will "spin" the results to make them say what suits them - like they did with PMR. There was never a truer word than when Winston Churchill commented that there are lies, damned lies, and statistics. I agree with Terry & Phil. The result does not shows me the truth. Not a single person in my place is happy for workplace environment. We are working here like donkey or slave. I know there are better service coming for our customers. But I don't thing Civil servants are treated well. We are suffering like a donkey. I totally agree with you. They hammer on about it day after day, but nothing ever changes. If they only spent as much time on getting our IT stuff running correctly, as they do in promoting and monotoring the survey, things would be a lot better. As expected no change on pay then! Looking at the results on reasons why people feel they have been discriminated against, BME, LGBT and disability figures although low, are still unacceptable. (Although we did score zero again on gender reasssignment.) However looking at figures for those who feel they have been discriminated against because of their age, grade, gender, working pattern or working location they are worryingly high; considerably higher in some cases. What will Civil Service leaders be doing to address this? Will there be any studies or further analysis to get to the bottom of why these figures are so high? Re A Wattam message how do u expect of change when senior memebers are racist? I have been bullied by several time by many senior members. Very recently top seniror memeber called for a meeting to show their visibility. When I try to give my views she stopped me 3 times. But she was listening to others very nicely. I told her what is affecting us. I didn't see any action from her on this. I know She hates me. I suffered silently a lot.But I will not keep quiet anymore. I will expose the reality. I notice that evey of the six years that the survey has been running that 10% of staff said that they had experienced discrimination or harassment. I see there is no comment on this stubbornly not being addressed. I'm amazed it's so low. Here in the MOD, there are training courses that are only open to people from ethnic minorities. By definition, anyone from the majority ethnic group has been discriminated against. The figure should be more like 70-80%, but for some reason people either don't realise they are being discriminated against or are afraid to feel like they are. In DSTL bullying and harassment is running at 10-12% with another 4-6% preferring 'not to say' whether they have been subject to it. It peaks at OVER 20% in some parts of the organisation. That's more than one in five! I've personally experienced it and my management were pretty quick to join in. Meanwhile our CE has awarded himself a huge bonus. "and the increase in the headline employee engagement index to 59%, are encouraging". But on a 59% turnout, will management/politicians accept that the civil service employee engagement index is actually 34.8%. If they did, perhaps management might start getting back some respect. Unfortunately the People Survey does not include questions on the things that really matter to many Civil Servants: the pay freeze, unfair and discriminatory performance management systems and significant workload issues brought about by the 100,000 redundancies. I still find it ridiculous that as a Civil Servant with a husband who is also employed, I have to claim Working Tax Credit to top up our income. If I earned more at AA level, I wouldn't need to claim anything. Would be nice if our employer would pay us enough that we wouldn't have to claim the benefits we administer. Not a problem for Sir J......! HM Revenue & Customs is seriously underperforming the headline Civil Service results. You say that embedding cultural change that will result in lasting cultural change must start at the top. How many SCS changes out of HMRC will there be by 31/3/2015? Or will it be that the usual excuse that 'the staff aren't listening to the message' and the same leaders will just be kept in post? And is it safe to speak up? Get that solved first and a lot of other good things will flow. How many of the 274000 are contractors or serving Military personnel? The spin doctors who provide the Defence Bulletin sanitised view of the surveys wouldnt be out of place working for the FIFA ethics committee or Sepp Blater! himself Is there really any point in continuing with this annual charade? Re forced redundancies, the Civil Service Compensation Scheme is designed so voluntary redundancy is much more financially attractive in comparison to compulsory redundancy, unless you haven't been a civil servant for long (<12 years), hence why forced redundancies are kept to an absolute minimum. Why? Because Ministers/PUS like to say we've kept forced redundancies to a minimum. If the Civil Service wanted to become more commercial and save more money to reduce the public sector debt and potentially allow us to remove pay restraint , it could scrap the CSCS and remove the statutory redundancy pay exemption for Civil Servants under s75c of the Employment Rights Act 1996, however vested interest will not allow that to happen. If it did the redundancy bill for Civil Service redundancies would fall dramatically. Why should Civil Servants be treated more favourably than wider public sector workers who are covered by s75C of ERA 1996, or those in the private sector. It won't be a popular message, however management isn't a popularity competition. A survey is only as good as the questions asked! I'm surprised discrimination isn't higher as half the staff are below their max and as there is no real progression award anymore they are then treated differently to people on their max, i.e. people on their max are paid more for doing the same work to the same standard. I agree, don't they realise that they are lining themselves up for equal pay tribunals a la Birmingham City Council? Am suprised that comments about senior management are treted in such a blase way year after year. I am a great believer that if you get it right at the top this will get through to lower levels. MPs managed to get a pay rise despite the scandals around them such as expenses. We get a lot of flak but at least we are hardworking and honest so surely deserve a reasonable pay. Reduction of the public sector debt would be better achievd by employing people (as well as algorthyms) to police the tax/benefit system in all geographical areas, not just cities, and collecting the debts that are incurred instead of writing them off. Look after the pennies etc works for governments as well as individuals. Too many tasks in HMRC are being written off by reference to amount and ignoring the furture impact this has on compliance. Just because you can put a tick in the box in the process map does not make it right. My Net pay has gone steadily down since 2010 and my targets steadily up. Not a happy circumstance. The inevitability of the content of this article is precisely the reason why many people chose not to complete the survey (I did complete it). Re comments above, do forced redundancies include the people driven out by PMR, pay and pensions or those who have accelerated their retirement for the same reasons? Of course it won't include those "invited" to volunteer. A number of my colleagues in HMRC have recently taken jobs with the major firms of tax advisors. This means that for all these reasons there are fewer of us trying to increase the tax take through compliance and anti-avoidance efforts, and much needed expertise now employed by those who tend to resist our efforts. We should be reducing public sector debt by intensifying our efforts, not by decimating and demoralising staff on a systematic basis. It isn't even the dross that's leaving; it's the talent. "It isn't even the dross that's leaving, it's the talent". This isn't backed up by the facts: the junior grades have been reducing at a much faster rate than more senior grades. In terms of talent, there is no direct indicator for how much 'talent' has left the Civil Service, hence why you have to assume that talent is not leaving: more senior grades have had smaller reductions (or increases!) so it doesn't look like there is an issue with loss of talent. There is no hard evidence that talent is leaving the civil service, irrespective of what may be happening in your particular work area, which may not be in any way representative of the civil service overall. I can assure you that in my part of the civil service it is the talented that are leaving, and in droves. Increasingly it is only the weaker performers and the yummy mummies who appreciate the flexible hours that are left. The office is virtually deserted during school holidays. The way civil service cutting staff, in future GOVT need to recruit staff from overseas. Experienced staffs are leaving. Already very difficult to find people got good knowledge. Like most UK businesses gone to overseas. In future might have to run Civil service by overseas people. You are just thinking cutting budget. How you will provide srevice with few members of experienced staff. Who will teach new comers? Can computer will be able to do all job? I don't think so. Similarly computer is taking over job. If it fails we don't have skilled civil servants. "This has been a necessary part of reducing public sector debt"
Yeah... You're saying that, but most of us KNOW that it's not true, and is in fact just a politically-motivated cull of of public sector workers in support of the Government of the Day's "private good, public bad" agenda. When the billions lost to tax avoidance/evasion are finally recovered, MPs expenses (and pensions!) are reigned in, and the cost of bankers' excesses returned to the public purse, THEN we might wear the notion that Civil Service cuts play a necessary part in the" recovery". I like the way the issue on pay has been ignored, probably the most important issue picked up in the survey. I keep asking the question, why do we have to have a pay freeze and yet there is always money found to give MPs massive above inflation pay rises? You look at half of them on TV, they eat well don't they? "Why should Civil Servants be treated more favourably than wider public sector workers who are covered by s75C of ERA 1996, or those in the private sector"
Because we're contractually entitled to it, Fred - couldn't be simpler. Oh - and you might want to look again at the differences in settlement that accrue to voluntarily and compulorily redundant staff - there IS no difference. The above comments say it all. In my view, and many others I speak to regarding job satisfaction, the two most important things staff are looking for is to be recognised for the effort they put in by being paid a salary that reflects both this and the ever increasing cost of living, and to have strong leadership which provides clear messages on the direction of the Department both at senior and at local level, and which builds trust and returns us to a time when we feel valued and trusted in our abilities to achieve the right outcomes for our customers. I would also like to mention that more investment and support is required in IT to enable us to complete required tasks and do our job more effectively and efficiently This continues to be an ongoing problem within Work Services Directorate and we are often left frustrated because we are unable to move customers forward at the pace senior management would like due to our inability to update notes, complete referrals and even print documents due to system freezes and downtime. This is a REAL problem for front line staff. Its funny how the 3 letter acronym PMR that is the Elephant in the Room is not mentioned either at Civil Service or Departmental level. I am impressed to see that 101% of members of staff in Vehicle Certification Agency have completed the survey! Let's hope that the rest of the numbers are accurate. The job of the Civil Service as a whole changes little from year to year, and any change in the total number of Civil Servants needed and what we do should easily be managable by natural wastage, posting staff to new jobs (not necessarily in the same Department), and some in service training. It should virtually never be necessary to make Civil Servants in mobile grades redundant, although as in industry (where I have spent much of my career) it might be necessary on occasion to post people to somewhere they are not mad on going. Any large scale redundancy scheme in the Civil Service is simply evidence of incompetence/idiocy at the top. In particular the policy of treating individual Departments as separate employers causes un-necessary redundancies and waste of public money: if one Department is shrinking there is usually another that could use more staff. Good to see the annual White-wash survey is out! I have asked the following question to the MOD Board and am awaiting the answers. Given that the survey has now closed, does the Board have any confidence in the results of the MOD Your Say 2014 survey when response rates for certain business units are above 100%? What validation checks are carried out when collating the results of the survey? It was possible to submit a response using an incorrect business unit code (hence response rates of over 100%) and it was feasible to submit more than one response per individual. I've often wondered that too, whether people can fill out the survey multiple times and thus management grades can skew the results if they liked by entering multiple responses. I think for every other internet survey/poll of any kind I've been invovled with, every participant is given some kind of unique i.d. to access the survey that can be used only once. Seems like good practice. Maybe this is what is required here (plus of course reassurances that responses won't be linked back to individuals). Discrimination - Level is biggest - ie not the level I think I should be?? Pay - Compare the CS pay increases to the national average over the last few years. Are there are any plans for the Cabinet Office / Civil Service Board to look very closely at the bottom performing organisations? When there are organisations at the top getting an engagement index in the high 60s or even 70s, and then at the bottom end there are some struggling to get into the high 40s, it should surely raise the question about how those organisations are being managed. In some, it seems that only 1 in 5 who completed the survey think their organisation is well managed. For the sake of the 4 in 5 people who feel it isn't, please take a long hard look at these results and do something. Agree with many comments above especially regarding Pay. I'm sick of hearing buzzwords like Austerity and sentences such as "we are in this together" when we are clearly not! 11% pay rise? 25% extra pension? yet not even 1% for nurses! Privitatisation of chunks of NHS to firms with links to MP's? Don't forget claims flying in for everything from 2 lightbulbs to 2 mortgages. Huge Tax revenue avoidance by the likes of Vodafone, Amazon, and celebrities. Yet CS staff and workers on the lowest wages are always hardest hit!! It does rather highlight what utter rubbish the concepts of "speaking truth to power" and "evidence-based decision making" really are. Management will hear what they want to hear and do what they choose to do. So shut up and do as you're damned-well told! Everyday I come to work in fear for stat & quality feedback. Everday pressurised. Unrealistic stat. Job is different everyday. Guidance changing very often but reading time is only 15 mins & we have to meet 100% quality & meet stat % target. Do u have any idea how people surviving under all these pressure? I want to work hard. I want to meet 100% quality. But I don't want any stat target. I want quality check but i don't it goes to quality tool when I am doing different kind of work everyday and guidence changing very often & the guidance which is most complicated and most people confused with it. Different person interpreting in different way. Many area no help available for staff shortage. When U cannot give me all the tools to meet quality & daily stat. U cannot fail me PMR (new weapon to kill staff). I see all the people here working hard from Morning to evening. Then why u are punishing us with PMR? If u cannot give happy work environment, u cannot expect more from people. People are suffering on daily basis but still working here because they have no other choice. If u really want people to be happy u need to listen to People. You can pick whatever figures you wish from the staff survey Sir Jeremy. Less than a quarter of your staff believe pay is “adequate”, and a large number want to leave as soon as is possible. When you bear in mind many of the more disaffected staff and union members did not even participate, these are pretty damning figures. When you read the blog above, you just have to compare the SCS to a horse with blinkers, or a certain Arsenal manager….They just don’t see it. Ignore the survey and act on the comments here. Thnak God for these comments. I thought I was living in a parallel universe. What planet is Heywood on, The comments on pay restraint are contemptible. Permanent Secretaries and I take the People Survey results very seriously and are deeply concerned about any reports of bullying, harassment or discrimination. We have zero tolerance for this kind of behaviour in the Civil Service and recognise the significant negative impact where it happens. It is a priority for us to ensure our culture is inclusive and fair and promotes equality and diversity. Our Talent Action Plan makes this clear. Research is underway to inform the next version of the Talent Action Plan, which will provide deeper insight into people’s experiences. This will help us to promote good practice and actively work towards eliminating poor behaviours. There are several very good e-learning tools on Civil Service Learning, including Unconscious Bias, Equality and Diversity Essentials and Respect in the Workplace, which deal specifically with bullying, harassment and discrimination. I encourage you all to look through these, even where you feel you already have a good understanding of these issues. These courses provide some good examples of how to recognise, challenge and deal with unacceptable behaviours. I recognise that people will often use the People Survey to report bullying and harassment, perhaps because they are nervous of using more formal routes and I understand that. However, this does mean it is more difficult for managers to take action. I also appreciate that sometimes knowing who to talk to can be difficult which is why concerns can be raised with a line manager or with someone else outside your normal management chain if this feels more comfortable. My message to everyone in this position is to tell us what is happening so we can help. Any concerns raised will be treated seriously and will be investigated where appropriate. These are sensitive and confidential issues; we do not publicly communicate what actions have been taken and their results. All departments have policies in place to support someone who is concerned about bullying, harassment or discrimination, whether against themselves or on behalf of a colleague. It’s very important to me that we all recognise the need to speak up if we observe people being treated badly, even if we are not ourselves directly affected. TY, Mr Haywood, you have answered the question that everyone is waiting on. Last year, we all 'asked' for stacked ranking, demonising of the lower 10% and wasting many 10s of hours on a new performance management system. This year, it is clear we have asked for a new bullying strategy. The problem is, that in my area the bullying comes from very high up the chain. Anyway, I look forward to wasting many more tax-payer funded hours on yet more bully awareness training over the next year. "Permanent Secretaries and I take the People Survey results very seriously and are deeply concerned about any reports of bullying, harassment or discrimination. We have zero tolerance for this kind of behaviour in the Civil Service and recognise the significant negative impact where it happens." Sorry to be blunt, but this is a bare-faced lie. There are courses that I have seen, which looked interesting and looked as if they would increase my performance and therefore that of my team, which I have subsequently been told - by email - that I cannot attend because I am of the "wrong" ethnic background. This is discrimination based on ethnicity - surely you cannot deny that. I have seen courses that I cannot attend because I am the "wrong" gender as well. Unfortunately, when CS leaders say that "we will not tolerate any discrimination", what they really mean is "we will not tolerate any discrimination (apart from the kind of discrimination which we will not only tolerate but actively support)". It's not rocket science. If you really want people to believe that you condemn discrimination, the thing to do is treat everyone equally. And treating everyone equally, by definition, means giving everyone the same opportunities. And that, by definition, means *not* running courses that are only open to people with the "right" skin colour or chromosomes. 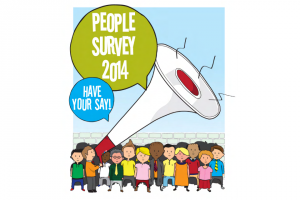 The annual People Survey is the opportunity for all Civil Servants to have their say and to help shape the future direction of the Department and wider Civil Service. The Civil Service Board devote considerable attention to the People Survey results each year, working in conjunction with departmental boards to share learning and best practice across the Civil Service to improve the working environment for all employees. We have seen some significant positive shifts in engagement scores in several departments – DCMS, DfE, DCLG and MOD to name but a few - and it is imperative we learn from those who are best in class. It is also important to recognise that departments are markedly different – not least in shape and size – and that within all departments there are pockets of excellent leadership with very high engagement, and other areas where we need to work much harder. a) The exclusion of DE&S staff from this years results and not any actual obvious improvement i.e. not comparing like for like. b) Many hundreds of contractors and service staff being allowed to complete this Civil Service HYSS. i.e. on better T&Cs, they help uplift the scores. Learn from MoD, the only thing to learn is how to fudge the figures. As the annual People Survey did not have any "free text" boxes, I will re-iterate what many have already said. Read these comments and act upon them. No more pay freezes or 1% rises. No more cuts to our Terms and Conditions. Can someone please, in simple English, explain what 'Engagement' is for the purposes of this survey? It seems to be a statisticians construct that has nothing to do with betrothal or gears, nor any other ordinary interpretation. From comments made I suspect there are a number of people who feel they are not engaged (in their understanding) but their reposnses enable the organisation to tell them they are. The fact that the vast majority of senior leaders come from the middle class (particularly in the fast track) gives me no confidence at all that they would remotely understand the difficulties of low pay. Meanwhile we push for more yummy mummy dinky mets at board level thereby polarising wealth even more. Sir Jeremy, People feel bullied in the modern Civil Service in all sorts of ways. The new PMR is a case in point. Suggesting/instructing/advising that ten percent have to be must improve is nothing short of bullying. The CS reform document talks of anyone receiving more than two 'must improve' markings as being 'shown the door'. That, I'm afraid to say, is the sort of language used by the office bully. And there we see it again. Management takes an "engagement" score and then uses it to claim that we are satisfied....that our morale is high....that all is generally well and they just need to do a bit of tweaking. Different year, same rubbish. Management refuses to accept that engagement is NOT morale or satisfaction because they know they can use the term to get away with another year of the same ol', same ol. To senior CS management, "engagement" is like a kind of patent medicine - they can quote the score and claim it has solved any staff malady you care to mention. And now we hear vsomething new; pay restraint has been good because it allowed us to keep jobs. The question is, what happens after the next election when there will be much more cutting regardless of the outcome - will Mr Heywood be telling us that our pay will actually be CUT (in absolute terms, not just in real terms as they have been so far) to save jobs? Jeremy - here are three direct questions for you. Do you think it is acceptable that here in MOD our non-Civil Servant colleagues (i.e. armed forces and contractors) were invited to complete the survey, and that the results are being presented without these contributors being split out? How is it possible that a survey which was completed by non-Civil Servants can ever be representative of what Civil Servants think? What is your response to those who allege that Armed Forces and Contractor staff were only invited because they are on better T+Cs and will therefore logically drive an increase in results? I look forward to your responses, of those of your staff. "It is imperative we learn from those who are best in class. It is also important to recognise that departments are markedly different – not least in shape and size"
Thanks for pointing out what many of us have been trying to underline to you Sir Jeremy, however obvious. This is precisely why you cannot bring in one all-encompassing performance management system across the whole department. I was pleased to see there was a comments box to cover other areas on which we wished to comment in this years staff survey. In the interests of transparancy, can you please supply the figures for how many staff commented on PMR. There was a tick box to this end, so the figures should be readily available- or would this just be too unpalatable and embarassing? This is a plea from an organisation that has found itself in the bottom rankings: please send someone to come and find out more about our results. There are good reasons that the results are as bad as they are. And I'm afraid it's a toxic culture coming right from the top that's largely to blame. For the sake of thousands of people who really do want to do their very best, and want to provide the public with excellent services, please help us. Don't sit and discuss it - get into these organisations and start to sort out the problems. You honestly would be thanked and thought much better of. Repetition is a waste of resources. 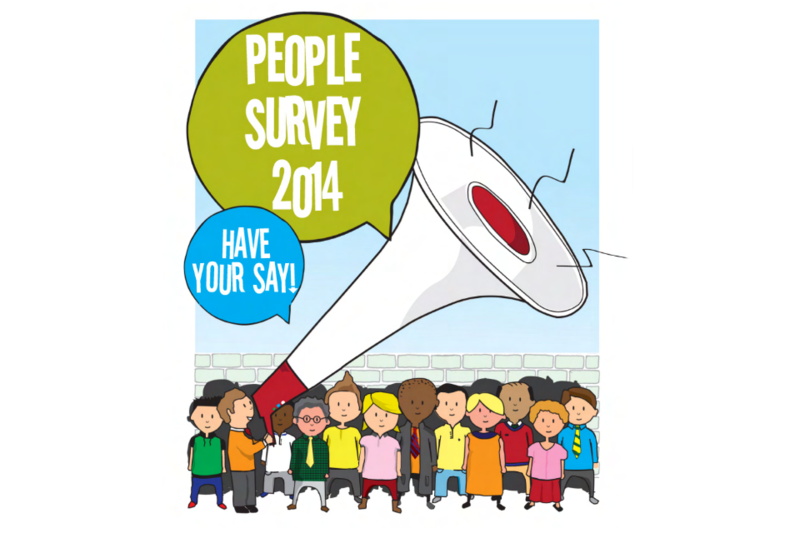 I have been filling up people survey every year. I don't see any changes of working conditions. It is getting worse day by day. Less people more work. Because of over stress my health condition detoriated so much. I don't know how long I can work. I used to see people around me mentally ill. Now I can understand their pain. AO to HO all are in pressurised condition. Who will help to whom? The policy makers just making the policy. Don't have any clue how it is affecting to people. Health & well being is just in paper. I don't see any application of this. If there were I would have still strong and work another 20 years. Thank you for taking the time to read some of these comments. I think progress can be made if people discuss things in a reasonable way, although it appears that many people are quite angry (hence the tone of some of these comments). My point is that we have a fundemental conflict between the aims of this survey/what you hope to achieve and the Performance Management System. On the one hand you seek people to be engaged and feel valued but on the other hand we have the PM system which actually works to make people feel less engaged and less valued. I could point out many flaws in the system but in essense the system is set up to pit people against each other, to compete for the top box or to compete to avoid being put in the bottom box. This does not foster engagement. Likewise if you have worked very hard all year and find, due to a quota filling exercise, that you are in the bottom box then you will feel totally disengaged and completely not valued. The survey results show that most people do like their jobs and want to do a good job yet engagement scores are much lower, in a number of cases below 50%. This is because we have a performance management system that does nothing for engagement and actually works against it. I ask you to do some research on the internet - you will find that the system has been discredited in private industry and many of the US firms, who are not known for being that bothered about workers, have actually abandoned the system as they have discovered it was completely counter productive. It baffles me why then it was introduced into the civil service. If you are serious about engagement and want to feel people are valued and feel happy in their jobs can you please review the PM system. For me and many of my colleagues it is the single most obstacle to better engagement. Talk to experts in private industry about why they think it is a bad system and what alternatives can be found. I'd add to this that at my work place there are specific networks for ethnic minority staff and another for female staff that run events for which colleagues can attend (presumambly with facility time too). As a white male I have no such oppurtunity for any "extra curricular" activities. So yes it is a shame that there are these special networks and that staff are not treated all exactly the same. Terry – such groups are a very good thing. In a society that is dominated by white anglo-saxon males it is essential that other groups of people, based on their gender, race, sexuality or whatever, have networks like this as they are good at creating an inclusive workplace. And the results of this – promoting diversity, encouraging compliance with employemt law, building employee comminication channels – will benefit you as well. All these groups are working to make the workplace better for all of us. I don't believe that segregation is likely to create an inclusive workplace. B09 My manager motivates me to be more effective in my job – a self motivated individual might disagree with this statement. B12 My manager helps me to understand how I contribute to the business objectives – if someone feels they have a good understanding of the business objectives anyway, why would they agree their manager helped them (this year)? B62 I have some really good friendships at work – not sure why agreeing to this is seen as a positive. Where these friendships are within the line management chain this can lead to favouritism or other discriminatory behaviour, is cronyism acceptable? Richard Branson stated, "Clients do not come first. Employees come first. If you take care of your employees' they will take care of the clients." it is a shame that the government does not share that philosophy. Since completing last years Survey the Box Marking System has changed our Team Working Environment to an Every Man To Himself situation. The Box Marking System weighs heavily on the opinions and Unconcious Bias of Mangers who will more than likely favorite the same 25 per cent year in year out. The Output figures between workers in my area are wafer thin between Box 1 and 2 and between Box 2 and 3. There is a huge lack of scope for Employee improvemment too. I am glad that 90.5 per cent of PCS members voted against the Pay Deal due to the unfair situation that Mangers MUST pick at least 10 percent of Staff to fall into Underachieving Box 3. The paydeal will probably go ahead anyway but at least 90% of people who work at DVLA are prepared to Vote No against an unfair system. Funny thing is when I completed the Civil Service Learning (CSL Online) "Unconcious Bias Training" thats all I thought was I really, really, really hope that our Senior Managers are forced to sit this test on an Annual Basis. Our Team outperformed the other 2 teams output figures/ lowest sickness level/ highest accuracy and lowest amount of errors but we had the most Box 3's as my SEO/HEO's had biased views of how some of our staff had performed 3-4 yrs ago. They should only be Marked on 12mths assessment not how they performed 3/ 4 yrs ago. Word eventually filters down. Imagine how this affects morale on a teams? Whatever you do regardless of how you perform they are biased - how do you motivate staff/collegues to work then? Bern - Exactly right my friend. I recommend all senior managers up to ministerial level read a book entitled " The Customer Comes Second " by Diane McFerrin Peters and Hal F. Rosenbluth. It is a revelation. When will the people in power learn that you CANNOT achieve excellence without a happy and well motivated workforce ? If you continue to pile on the pressure, banging on about change and improvement without actually improving the working lives and morale of your staff then they themselves by definition will not provide the best possible service to their clients. You cannot achieve the best results by creating a climate of fear. Its really very simple. Happy staff, happy customers. But the staff must ALWAYS come first.